Basket viewing begins at 4:30 PM; auction begins at 5:30 PM. Ending time is approximate. Free admission and open to the public. Basket prices vary. Bid on baskets filled with specialty items, savory treats, gift certificates, unique treasures, and more donated by area businesses and individuals. All funds raised by the basket auction support 4thFest, Coralville's spectacular 4th of July celebration. The evening includes a live and silent auction, and food and beverages available to purchase. This event is open to the public. If you would like to donate a basket, please contact Lynn Snyder or Paula Bakey. 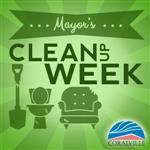 Please drop off baskets at Coralville City Hall, 1512 7th Street, by 4:00 pm on Wednesday, April 10, 2019.